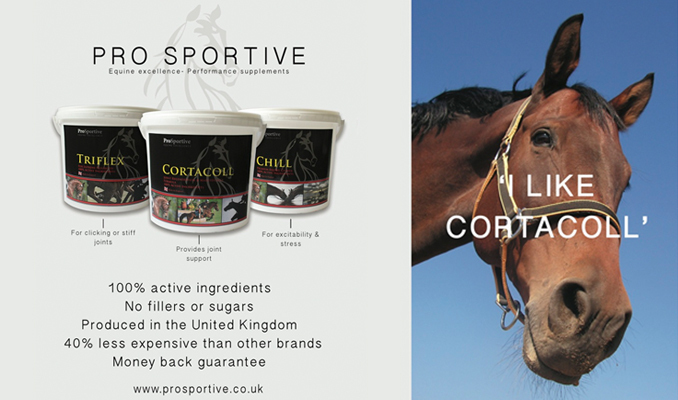 New research, conducted at the University of Liverpool in collaboration with SPILLERS®, has resulted in the development of an internal fat scoring system for horses. The EQUIFAT system aims to unlock the mysteries of equine internal fat stores and determine whether there is a link between Body Condition Score (BCS) and specific internal fat stores. Ultimately such a scoring system should help improve understanding of the link between internal fat and conditions such as laminitis, insulin dysregulation and colic. Fat tissue is the body’s largest endocrine (hormonal) organ and secretes numerous chemical messages to communicate with other organs in the body. In people CT imaging can be used to identify regional fat storage. Its distribution is known as ‘fat patterning’ and abdominal fat is now recognised as a risk factor for metabolic and cardiovascular disease. 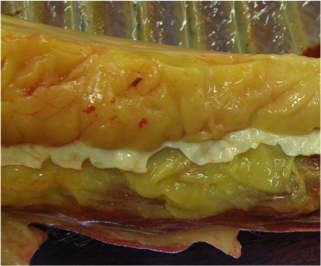 However, little is currently known about any health risks associated with specific areas of regional fat in horses. Previous work has shown that BCS is correlated with the total amount of body fat but until now it has not been possible to identify whether specific regional fat stores drive this correlation or whether all fat stores may be implicated. The study initially involved photographing the internal fat deposits in 38 horses and ponies at post mortem. All horses were euthanased for reasons unrelated to the study and not for research purposes. The photographs were ranked in order of least to most visual fat and then used to develop the five point EQUIFAT scoring system. To verify the reliability of the system the scores were checked twice by a group of observers. 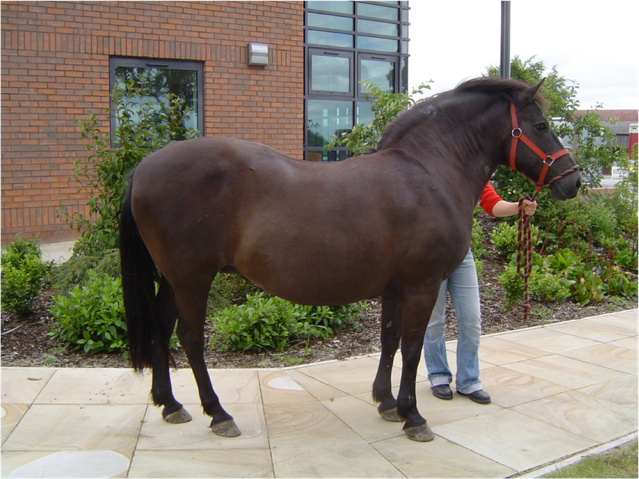 To determine whether there is a link between BCS and internal abdominal fat stores a further 207 horses were body condition scored. The same horses were then scored using EQUIFAT immediately after euthanasia. The study demonstrated that EQUIFAT was a reliable method for quantifying internal fat and showed a strong association between external regional fat deposits assessed via body condition scoring and internal abdominal (retroperitoneal) fat stores. It is hoped that future studies may discover more about the link between internal abdominal fat and disease risk through using this new method during surgical and post mortem evaluations.